Whoever said wallpaper was just meant for your walls didn’t know Stefanie Schoen, the ultimate do-it-yourselfer behind the blog The Style Safari. 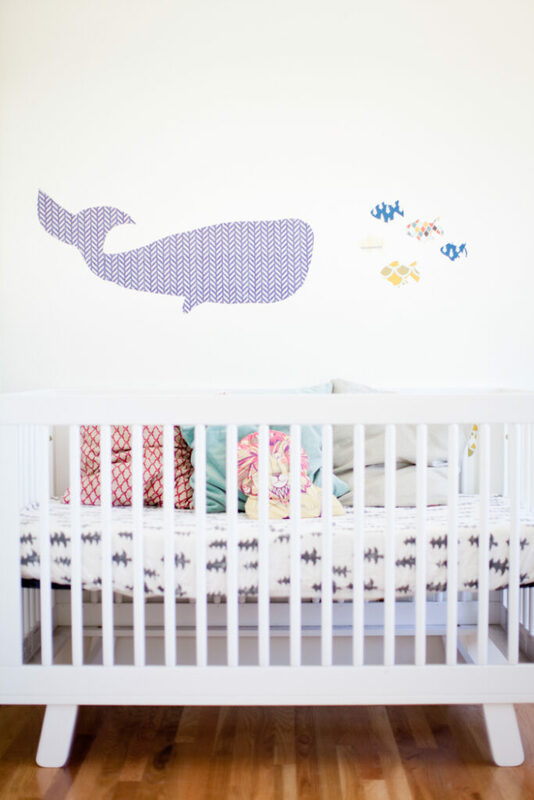 The mom-to-be has been prepping for her little baby girl’s arrival and has taken on the task of designing her daughter’s nursery from floor to ceiling. While this might seem like a daunting task for some, it’s a walk in the park for Stefanie. 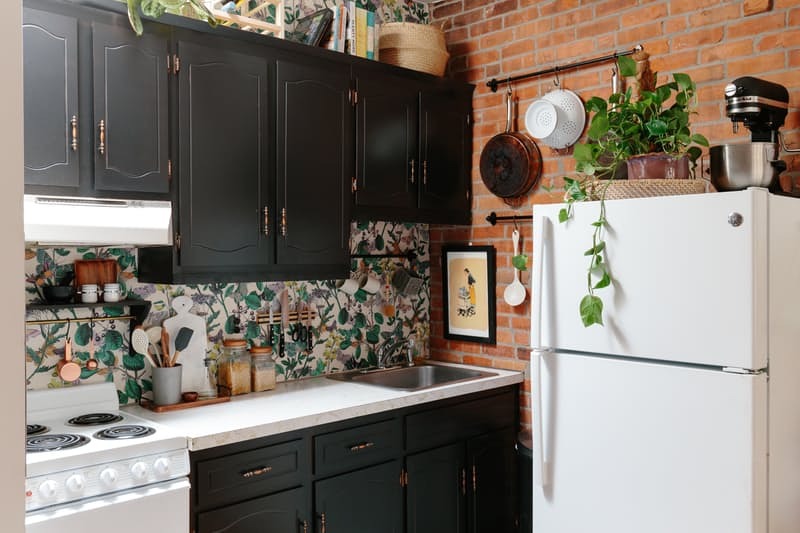 She recently did an entire wallpaper refresh in her dining room while seven months pregnant — on her own! There’s nothing this lady can’t do! 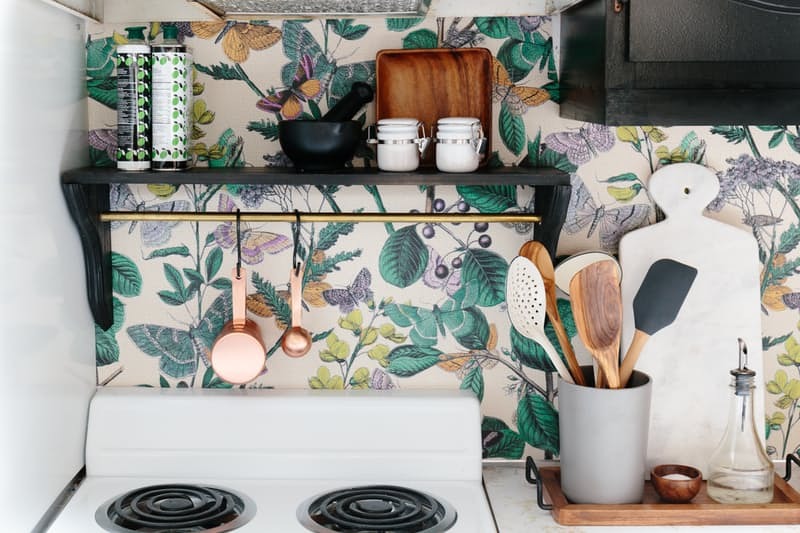 When the style trends for 2018 were announced by the leaders of the home décor industry, it was no surprise to see wallpaper making the list…again. Over the past few years we have grown to love wallpaper as a quick and easy way to refresh a room. 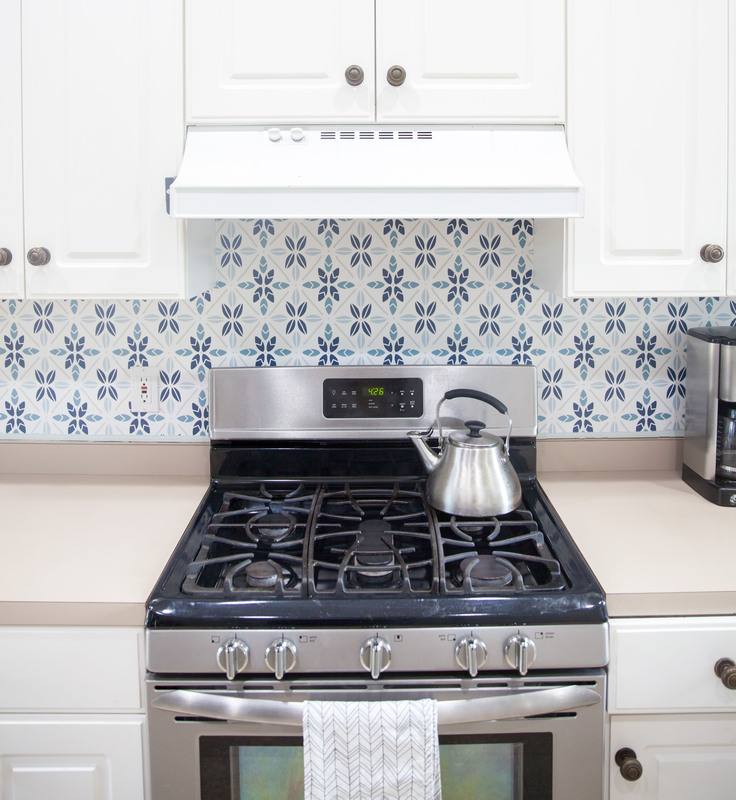 With easy application and even easier removal, our home- and apartment-friendly wallpaper gives you the best of both worlds. Will 2018 be the year you finally complete the home makeover of your dreams? Find inspiration for your walls—and beyond—from these 15 wallpaper projects that have caught our eye. 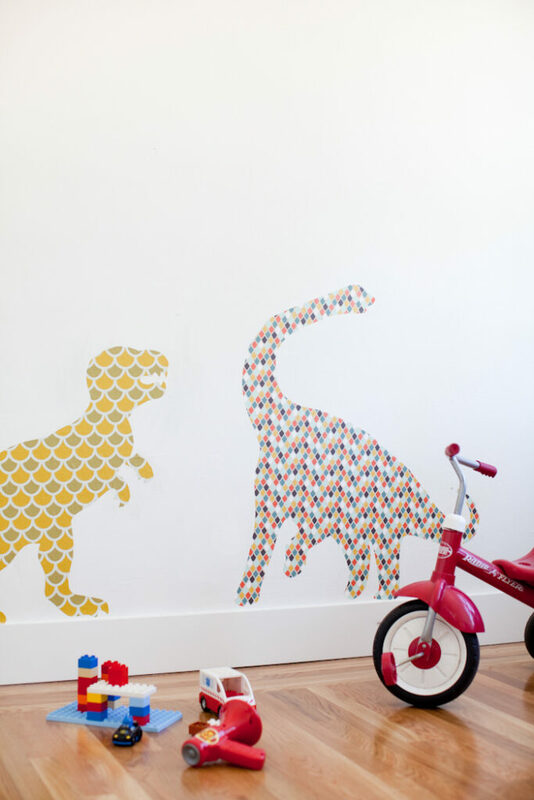 Removable wallpaper might just be our most versatile product at Spoonflower. You can use it for giant wall stickers, accents in your home, dressing your tech, lining drawers, and the list goes on and on! 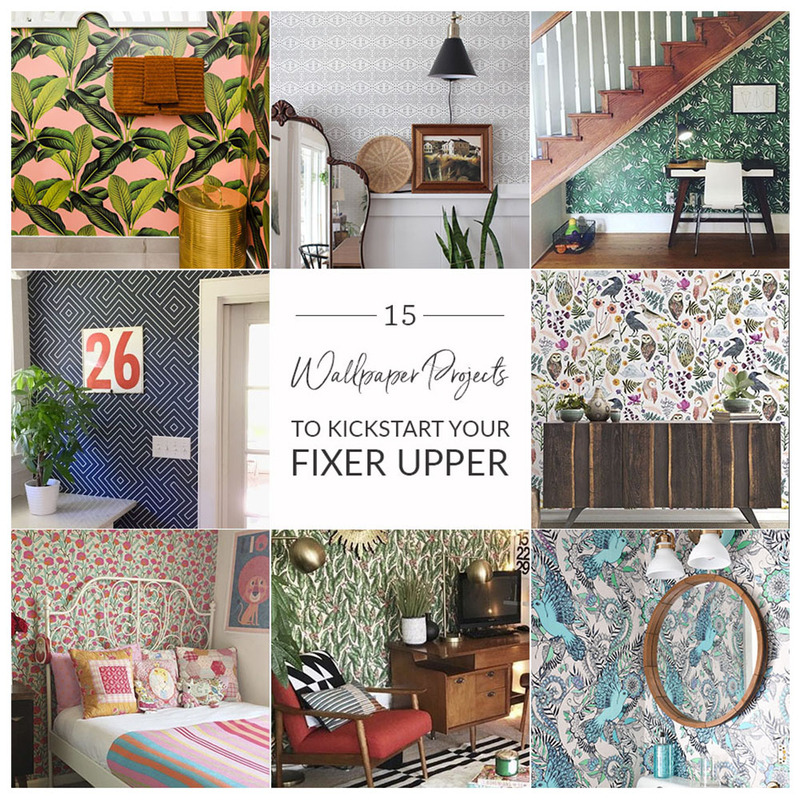 Below we’ve rounded up a few of our favorite wallpaper projects from bloggers and Spoonflower employees that we hope will inspire you to tackle your next home dec aspiration. 1. 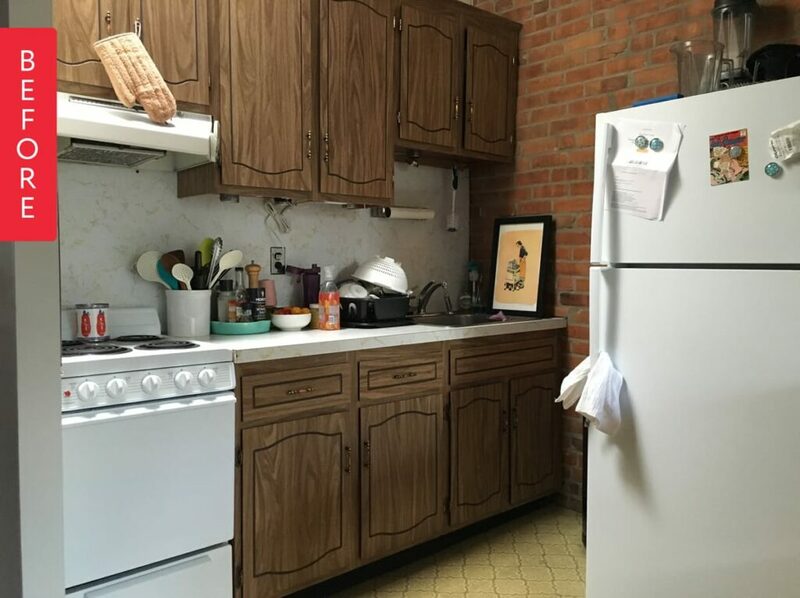 This stunner of a budget rental kitchen remodel had our jaws dropping. The fabulous Audrey of This Little Street created free downloadable templates and easy instructions to make these awesome wall stickers! DIY on a Dime : How To Make 36 Photo Magnets for Under $10! 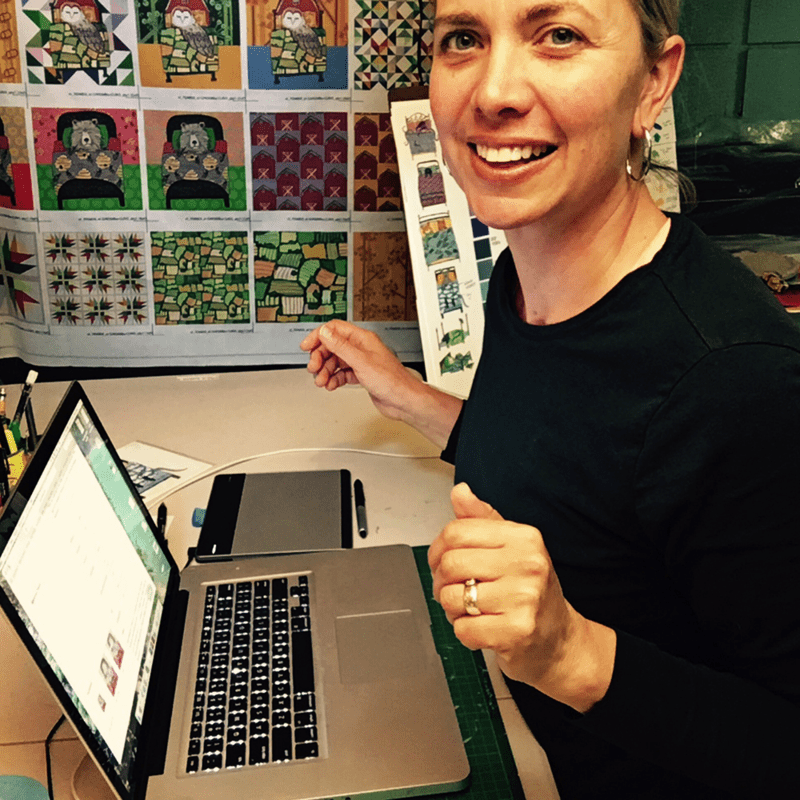 If you’re anything like Spoonflower team member Meredith, you’ve probably snapped your fair share of instagram photos. If you’re also like Meredith, you’ve probably never printed any of those artfully filtered photos! Today, see how she changed her ways by creating 36 custom Instagram photo magnets for under $10! 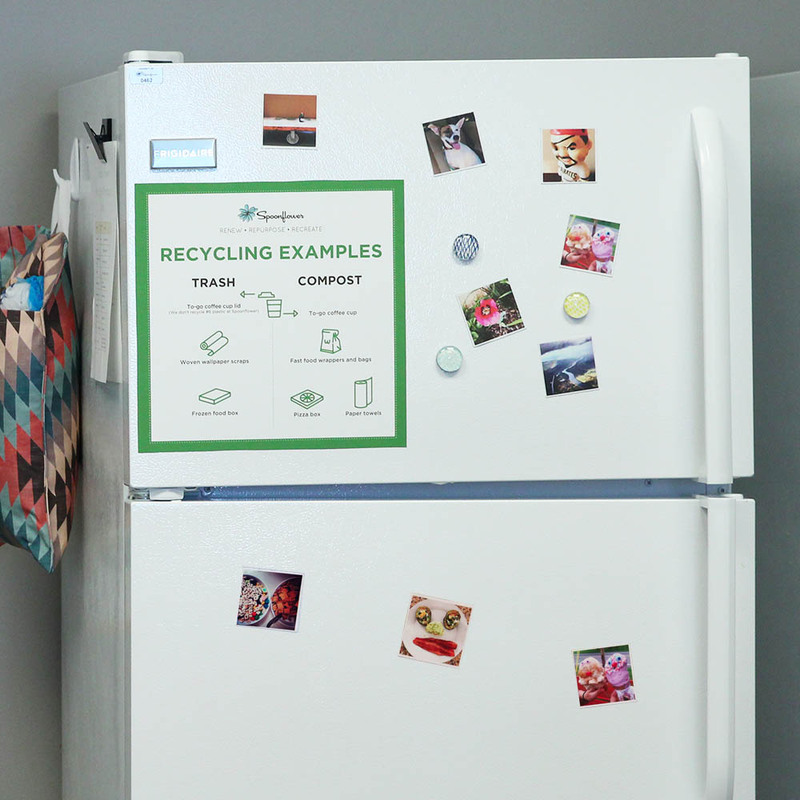 Spruce up your refrigerator with DIY photo magnets. If “never printing your camera phone photos” was a sport, I’d be the grand champion. However, this holiday season, I’ve finally decided to change my ways while also making the perfect personalized gift… and on a budget! With the help of Instagram, Photoshop and just one swatch of Spoonflower’s woven wallpaper, I used photos that may have never seen the light of day and transformed them into beautiful photo magnets! Follow along as I show you how I made this personalized gift. [Read more…] about DIY on a Dime : How To Make 36 Photo Magnets for Under $10! How the Walls of this Pizza Shop Went From Blah to Pi-zza! When you think of pizza, what comes to mind? Gooey cheese? Endless amounts of toppings?…Spoonflower wallpaper? When local pizza trailer ( yes, that’s a thing in Durham!) Pie Pushers began planning the opening of their first store-front location in downtown Durham, they reached out to Spoonflower with a unique custom printing idea. While we knew this partnership would be the perfect blend of design, community support, and lots of creativity, we were mostly focused on one thing…pizza. 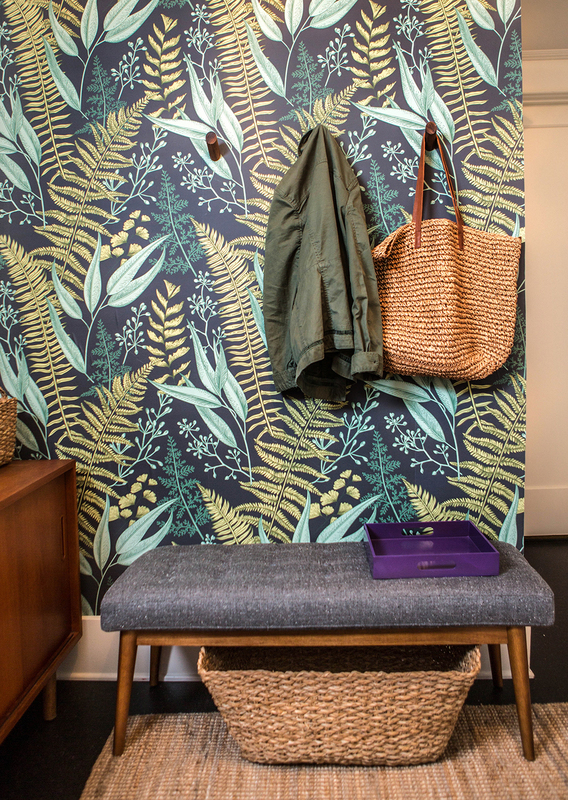 With the help of Spoonflower’s smooth wallpaper, learn how owner’s Mike Hacker and Becky Cascio transformed the two shop restrooms from blah to pi-zza! [Read more…] about How the Walls of this Pizza Shop Went From Blah to Pi-zza! Our latest featured maker had an unconventional start growing up as a child actress and singer on sets and sound stages across the country. Later, Kathryn Zaremba received a Bachelor of Fine Arts degree and moved to New York City, where she was a design assistant to Jonathan Adler and illustrated textiles for Rachel Antonoff. Now settled in Washington, DC, she creates whimsical textile designs from a workshop she shares with other female makers called the Lemon Bowl. Plan a visit if you’re in the area, and read on to learn how Kathryn fuels her successful small business. To celebrate the launch of Barb Blair (Knack Studio’s) inspiring second book, Furniture Makes the Room, we’re giving away a copy to four lucky winners! 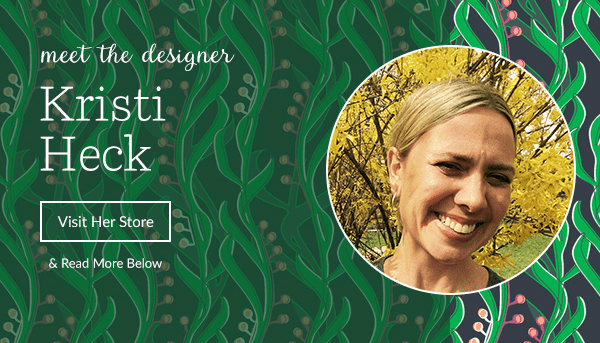 One grand prize winner will also score 4 rolls of Spoonflower’s Smooth Wallpaper in any design ($240 value) to tackle some of those fab home décor projects in the book. This promotion is now closed. Winners were notified on Monday, May 9. Did you miss Barb’s tutorial yesterday for how to update an old jewelry box using Spoonflower paper scraps? Find it here!